Nearly 8 hours of entertainment! Proceeds will help us keep quality entertainment happening here! Concessions available. The Quagmires start the day with their unique Blues music . (3pm – 3:30pm). 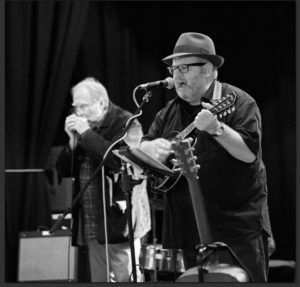 Ian Host on guitar and and Rob Thompson on harmonica (4:20 – 4:50) play a mix of Blues and Roots music. 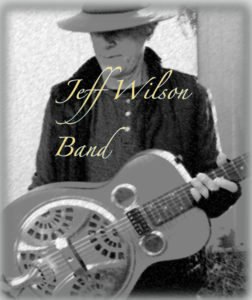 Jeff Wilson with James Roy + Matt Skelton (5pm – 5:30pm) – From the post industrial north of England, Jeff has played the cool jazz clubs and then onto the Caribbean jumping ship to play in the funky buenavista bars in Venezuela. Then on to the Blues bar in Bangkok and now with the fabulous James Roy on bass and Matt Skelton on drums and for want of a better name; the Jeff Wilson Band. 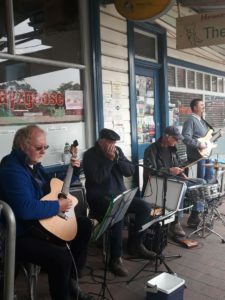 The Scarab Beatles- Ian Gilchrist & Michael Childs (5:40pm – 6:10pm) – Ian and Mike are both Blue Mountains residents and met at the Wednesday Open Mic night at the Family Hotel Katoomba. They joined forces over their shared love of Beatles music and the idea of the Scarab Beatles was born. Later they asked Dave on bass and Matt on drums to accompany them to complete a “Beatles type” band. 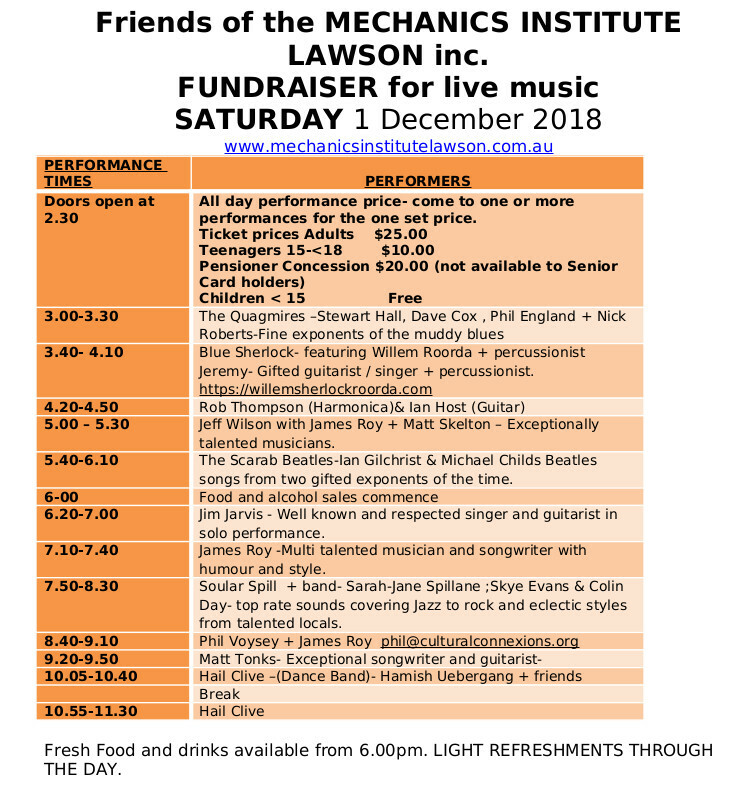 This will be their first outing as a full band at the Lawson Community Hall this coming Saturday. Enjoy, its Fab Gear!! 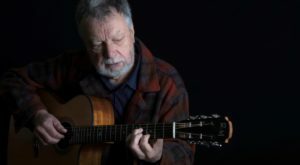 James Roy (7:10pm – 7:40pm) -James is a writer, poet and musician. He is one third of Cranky Franky, one third of the Oxford Commas, one fifth of Sideshow Annie, and most of Last Visible Dog. He advises us that he has no merchandise on sale. 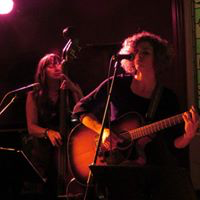 Soular Spill (7:50pm – 8:30pm) present their own original delightfully deep tunes. Soul and infectious grooves and tunes with jazz and folk at its roots. Sarah Jane Spillane on vocals and guitar, tasty licks from Colin Day on lead guitar, sultry sounds from Skye Evans on double bass. Special guest Matt Skeleton on drums. Soular Spill ooze with charm. 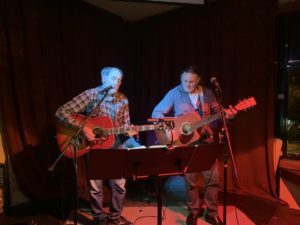 Phil Voysey + James Roy (8:40pm – 9:10pm) – Phil Voysey writes and performs playful philosophical songs with a folksy bluesey feel. 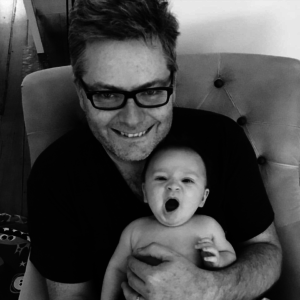 His influences include Bruce Cockburn, Chris Smither and Bob Dylan. 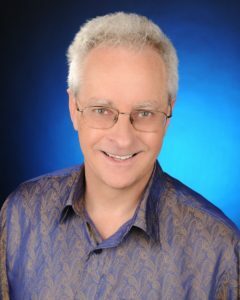 A choral version of his song Towards Infinity is performed by choirs around the world. 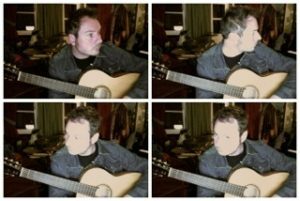 Matt Tonks (9:20pm – 9:50pm) – Local Matt Tonks is an acoustic artist with fluid melodies and entrancing rhythms in an organic approach to what could be called folk-electronica. A passionate and mesmerising performer. Unmistakable vocals and a unique guitar style breathe life into luminous songs. 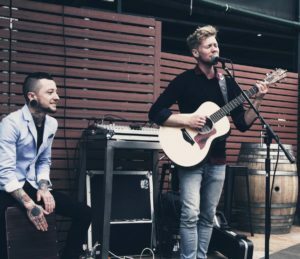 Matt has played throughout Australia with artists such as Jeff Lang, Lior, Abby Dobson, Shane MacGowan (Pogues), Raoul Graf and Paul Greene, and is now establishing himself at the forefront of Australia’s acoustic movement. 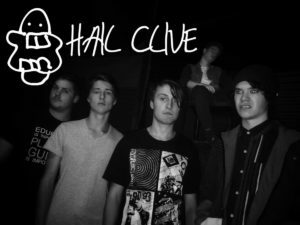 HAIL CLIVE! (10pm – 11:30pm) Garage rock outfit. Frontboy Jarryd shepherds Hamish on lead guitar, Pat on bass, Lachlan on drums and “The Other Jarrod” on rhythm guitar. Fundamental rock music with the modernist ideal that “form follows fun”. Light refreshments and nibbles will be available during the day. Wholesome fresh food available after 6.00pm. Wine and beer available after 6.00pm. Our liquor permit allows you to acquire liquor by your donation for such items. Pumpkin and sweet potato soup with bread. Prices to be shown at the event.